LOUISVILLE, Ky. — The Republican governor of Kentucky is calling on faith leaders in Louisville to form walking prayer groups in the city’s high-crime areas to help combat the blot of violence within the municipality. Gov. Matt Bevin issued his plea on Thursday during a meeting at Western Middle School, which was packed with hundreds of pastors from throughout the city, as well as residents who wanted to hear his remarks on the matter. “I personally believe in the power of prayer. I’ve seen it,” Bevin, a Southern Baptist, stated. He asked that pastors and members of their congregations join together for one year to walk a block weekly, praying as they go and reaching out their neighbors. While he plans on personally walking with his family, Bevin is leaving his recommendation in the hands of local Christians as his office will not have part in organizing the initiative. According to reports, there have been 52 homicide investigations in Louisville so far this year, including a recent incident that claimed the life of a seven-year-old boy. The city is also stated to be plagued with an opioid problem, as well as homelessness. Faith leaders were divided over Bevin’s suggestion, with some declaring “amen” and giving the governor a standing ovation, and others shouting out criticism. “Doing unto others as you would have them do unto you: Those principles [are] what this governor is trying to bring back into the faith community—to get out and touch the communities the way we ought to,” Jerry Stephenson of Midwest Church of Christ told WDRB-TV. Clay Calloway, an associate pastor at St. Stephen Baptist Church and founder of the West Louisville Ministers Coalition, told reporters that he wanted a “barf bag” after listening to Bevin because he believes that churches are already praying. He said he was hoping for a more practical and political solution. However, Bevin noted that his plan to combat violence is multifaceted and prayer is just one aspect of the fight. Bevin has spurred Christians to put feet to their faith in other ways, as earlier this year, he urged the Body of Christ to open their homes to foster children and those needing forever families. Bevin himself is an adoptive father. 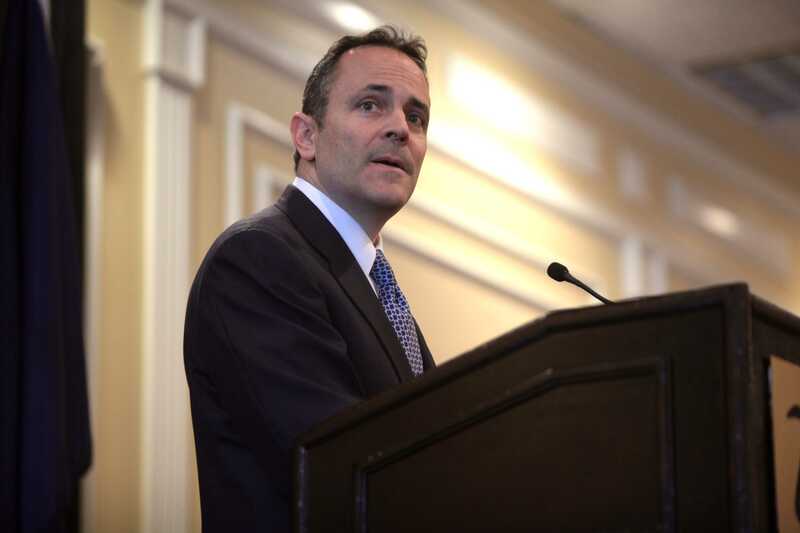 As previously reported, Bevin also recently selected Daniel Dumas, a senior vice president with the Southern Baptist Theological Seminary and adoptive father of two, to overhaul the state’s foster care and adoption system.